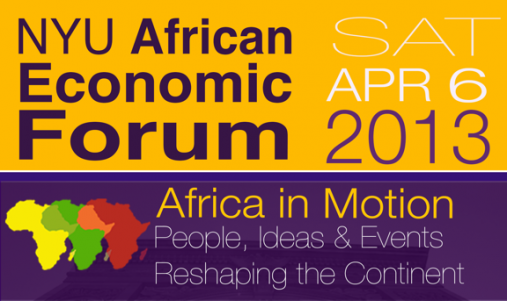 Acclaimed “divine intervention” for Cameroonian Politics Kah Walla & Ghana’s PPP leader & presidential hopeful Papa Kwesi Nduom to speak at 2013 NYU African Economic Forum on April 6, 2013. NYU also names MUIPR as media sponsor for the event. NEW YORK - March 27, 2013 - PRLog -- New York, NY— On Saturday April 6 from 8AM until 6:30PM, New York University (NYU) Stern Business Club, NYU Africa House and the Council for Young African Leaders (CYAL) will host the second annual Africa Economic Forum (http://nyuafricaforum.com/) (AEF) at The Henry Kaufman Management Center located on 44 West 4th Street, New York, NY. The conference planners have also tapped MUI-The PR Company (MUIPR (http://www.muipr.com)) as a media sponsor for the historic event. In addition to cultivating a solid, effective PR program for the AEF, MUIPR will also play a role in strategic public relations (PR) for the AEF brand, by conducting interviews with special speakers and guests at the forum. "Throughout our selection process for media sponsorships, the MUIPR team impressed us with its innovative approaches to event PR and ingenuity," said forum organizers. "MUIPR clearly understands how to leverage PR to propel forums like ours to success and, we're excited to begin our partnership." Termed “Africa in Motion: People, Ideas and Events Reshaping the Continent”, the forum is expected to pool together over 300 invited intellectuals, scholars, thought leaders, young professionals and celebrities, with an interest in cultivating and sustaining development in Africa via business and economic channels. It will kick off at 9AM with an opening keynote by Jean-Louis Ekra, President and Chairman, African Export-Import Bank. Between 10AM and 11:15AM, the forum will feature three powerful concurrent panels on Africa’s Technology Movement, Africa’s Innovative Enterprises that Drive Social Change, and Pathways to Development in Africa. From 11:30AM until 1PM, nine young and dynamic leaders will discuss ways in which they are advancing development in Africa and within the Diaspora. Titled “9on9: New Faces of Africa Series (http://nyuafricaforum.com/9-on-9-series)”, speakers will engage the audience for about nine minutes on a variety of topics, from entrepreneurship to finance, media and entertainment, law, fashion, and social enterprise. At 2PM, a fireside chat will occur between David Applefield, Financial Times’ Commercial Representative for Africa and Khalil Gueye, International television broadcaster and President of OPENRANGE. At 3:30PM, Papa Kwesi Nduom, Ghana’s former Presidential Candidate and CEO of Groupe Nduom, will deliver the closing keynote. The forum will provide opportunities for conference attendees to network with keynote speakers and panelists during Breakfast, Lunch, and a Reception at 8AM, 1PM, and 4:30PM respectively. The forum will also feature a Celebration Party (http://www.facebook.com/events/456447441094472/) from 10PM until 4AM, inside the Empire State Building. The party will be hosted by Mr. Solo Nnanna, Founder of NYC’s first Cross-Cultural Marketing firm, Royalty Lifestyle (http://www.royaltylifestyle.com). Guests who attend the forum will be entered into a raffle for the opportunity to win 2 roundtrip tickets to any West African destination serviced by Arik Air. Tickets (http://nyuafricaforum.eventbrite.com/) to the forum are limited and available online. For more information about the forum tweet (http://twitter.com/SterninAfrica) NYU Stern in Africa or connect via Facebook (http://www.facebook.com/NYUSterninAfrica).